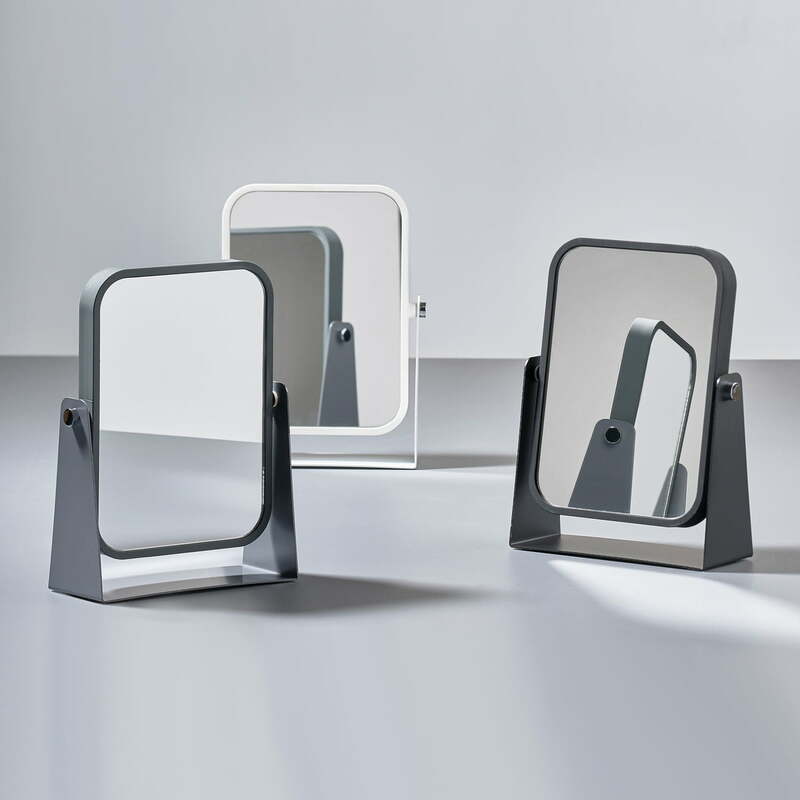 The table mirror by Zone Denmark is the perfect accessory for the daily make-up routine. Featuring a normal mirror on one side and a 3x magnified mirror on the other, it is suitable for various bathroom tasks as well as being a real eye-catcher. While the two mirrored surfaces have rounded contours, the base metal is characterised by an angular appearance. A high-contrast combination that still results in a harmonious overall impression. 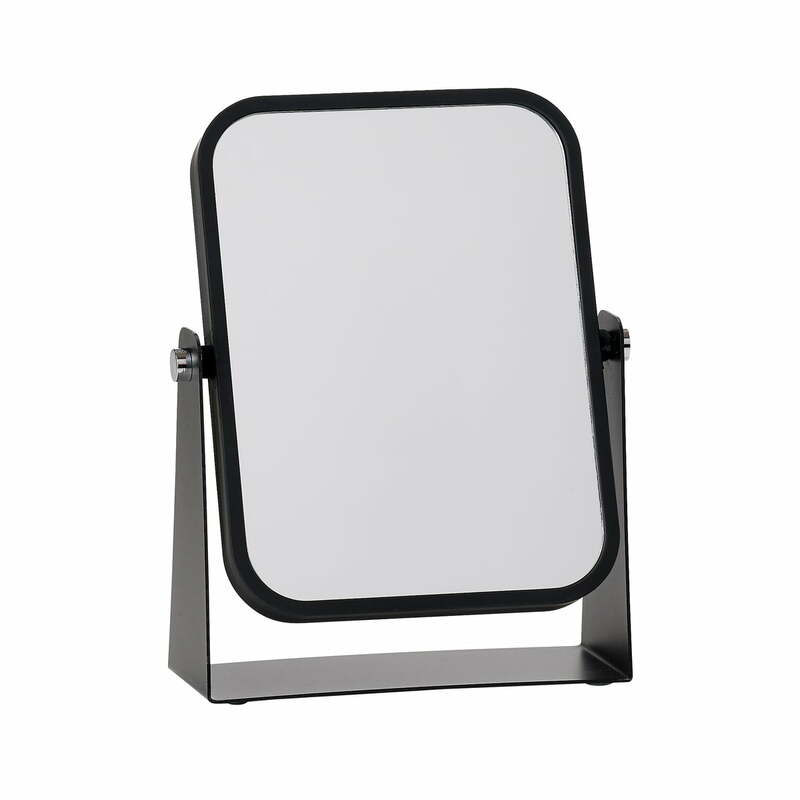 The base provides firm footing for the mirror and allows you to set it up perfectly for your every need. Placed on the shelf in the bathroom or on the dresser in the hallway for that final check before leaving the house, the table mirror is elegant and discreet in any situation. Isolated product image of the Zone Denmark - Table mirror with 2 mirrored surfaces and magnifying effect, black Featuring a normal mirror surface on one side and a 3x magnified mirror on the other, it is suitable for various bathroom tasks as well as being a real eye-catcher. Group product image of the Zone Denmark - Table mirror with 2 mirrored surfaces and magnifying effect. Placed on the shelf in the bathroom or on the dresser in the hallway for that final check before leaving the hours, the table mirror is elegant and discreet in any situation.